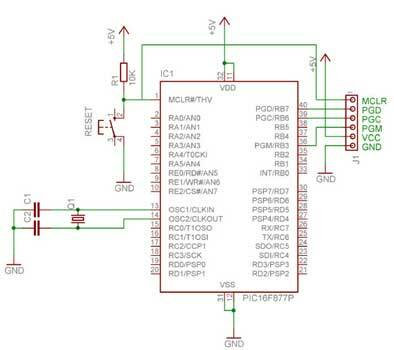 Serial Port ICSP (In Circuit Serial Programmer) programmer for PIC microcontrollers. With auto detect programmer and chip options. JDM design based programmer. Use it with RKI-1681 Programming socket for easy operation with any standard 8/14/18/28/40 pin DIP PIC microcontroller. Check image given below.